The NorthPoint Global HCM team includes some of the longest tenured employees associated with Oracle Cloud in the country. Our team possesses deep knowledge and modern best practice understanding of HR business operations in US and international environments. NorthPoint can guide clients as they strive to standardize their processes and system design across all entities, which allows for more holistic views of their organizations and enhanced business decision making capabilities. 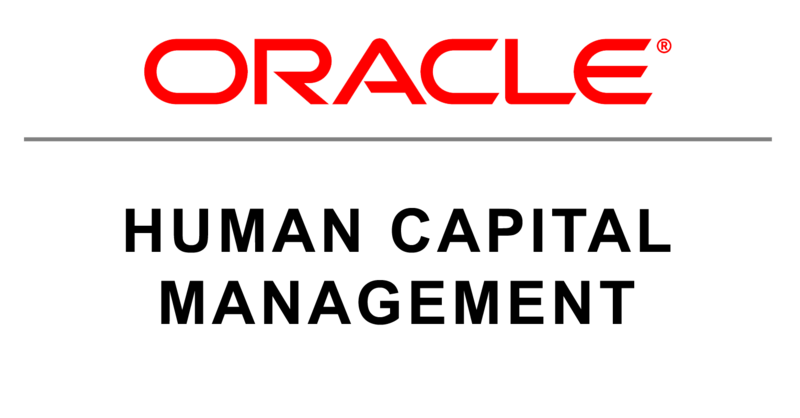 Global Human Resources is the cornerstone of Oracle’s HCM Suite. NorthPoint brings the necessary approach and guidance to correctly design and structure this critical application. Oracle’s Human Resource module is more than just tracking employees and demographic information. All security designs, legislative compliance, reporting are all solutioned within this module, and it acts as the backbone for the rest of the suite. During Global HCM engagements, NorthPoint experts guide clients through the various decision points relating to global system design, language considerations, and both local and legislatively required data across various countries. In addition, NorthPoint assists clients who strive to achieve Safe Harbor Certification, gain Worker’s Council approvals, or meet any additional compliance objectives within their organizations. Payroll is a mission critical application and the expertise necessary to implement correctly is what we have built our business on. Whether it is an implementation, upgrade, year-end processing or balance and reconciliation, NorthPoint has the expertise to guide its customer’s use of Oracle Payroll. The NorthPoint Payroll and Time team is comprised of a group of seasoned professionals with experience in both running payroll organizations and implementing Oracle Payroll and Time and Labor giving them insight into the day-to-day challenges of a Payroll organization and developing the best possible solutions using Oracle Payroll/Time and Labor. Oracle Cloud Time and Labor is a comprehensive, easy to use, rules-based time recording and management system designed to give you maximum visibility and control over your most valuable resource, your people. Natively integrated with Oracle Global HR, Oracle Absence Management, Oracle Payroll and Oracle Project Costing, Time and Labor supports a wide range of time recording needs for both your employees and contingent workforce. Talent Management is a crucial component of ensuring that organizations are able identify, attract, nurture and retain top talent in today’s competitive landscape. Beyond understanding industry best practices, NorthPoint consultants provide clients with innovative ideas for establishing cutting-edge Talent Management programs. Performance reviews and goal setting are certainly important, but providing employees with continuous feedback, career direction within the organization and compensating employees based on their impact to the bottom line is what drives a company past its competitors. Whether the organization is moving from a benefits broker or 3rd party provider, NorthPoint consultants help clients streamline the benefit administrative process with the help of Oracle Cloud’s robust and flexible design while ensuring user adoption through a simple consumer-style interface. The Benefits module can handle both simple and complex benefits programs which helps organizations stay competitive in retaining top talent. Compensation is the linchpin to attracting, motivating and retaining talent within any top tier organization. The Oracle Cloud Compensation tool provides end-to-end compensation management with the ability to model, budget and administer an unlimited number of plans. NorthPoint consultants will analyze your current process and design your future state based on industry best practices which will provide your executives and management with a deeper understanding of all compensation activity including base pay, incentives, and equity pay. By incorporating performance ratings, goal attainment, and other metrics into compensation calculations your organization will promote a pay-for-performance culture that will help you compete in today’s talent market. Attracting top talent, reducing time-to-hire and increasing the quality of hires used to be a concern of recruiting teams alone, but today strong executives and HR leaders understand that these data points (and many more) can only be optimized through a focused Talent Acquisition strategy. Because the Oracle Cloud Talent Acquisition module is built on the same platform as Core HCM and Talent Management, your executive and HR leaders will gain a complete understanding of your inhouse talent, bench strength and the talent gaps your recruiting teams need to address. NorthPoint consultants help clients build a talent acquisition strategy that leverages social networks and media in order to expand the target audience of potential candidates that will make a positive impact to the organization. NorthPoint understands that optimizing the candidate experience is a critical component in ensuring that external talent deems the organization as an “employer of choice.” NorthPoint consultants help streamline and automate this process so that recruiting teams are spending more time on strategic hires and less time sifting through unqualified resumes. It’s been debated between HR and Finance teams for countless years, which modules should be implemented first, HCM or Financials? While technically, there are no barriers to start with either Oracle’s HCM or Financial Cloud Services, there are significant structures and dependencies that need to be considered in order to build a strong foundation for your business. NorthPoint has a rich history of helping clients determine which deployment model is right for their organization. NorthPoint consultants will do a holistic review across all back-office processes in order to build a deployment strategy that adheres to your organizational readiness across all departments. This comprehensive approach ensures that business value is maximized and conflicting requirements and/or configurations are eliminated.